Antiretroviral shortage reaches 100% in VenezuelaEvery day, the media throughout Latin America show news about the situation in Venezuela, unsustainable wherever you look, and that affects the health and lives of thousands of people, including those living with HIV. Image: Alberto Nieves, Director de ACCSI. On the World Health Day, Corresponsales Clave (LAC Key Correspondent Team) spoke with Alberto Nieves, Executive Director of Acción Ciudadana Contra el SIDA (ACCSI), a CSO from Venezuela, about the setbacks that health has had in that country that takes him away from the well-known slogan promoted for this year by the World Health Organization: “Health for All”. Alberto is an activist who lives with HIV and who continues to defend the rights of people living with HIV in this Caribbean country and told us that “by March 2018, the shortage of antiretroviral drugs reached 100% in Venezuela, which It is affecting more than 80 thousand people with HIV. This is the conclusion of the monitoring process carried out by the country-wide Focal Points of the Venezuelan Network of Positive People (RVG +), with the technical support of Acción Ciudadana Contra el SIDA (ACCSI). They have been monitoring the specialized pharmacies for the delivery of antiretroviral drugs (ARV) located in the Venezuelan states and attached to the public health system. ” Alberto Nieves, director of ACCSI. We do nothing with only some drugs. 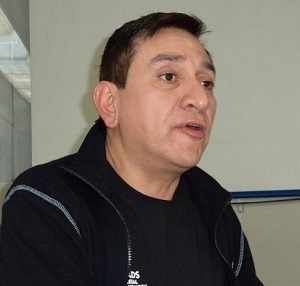 In the monitoring carried out, says Nieves, it was identified that in some pharmacies there were still 4 types of antiretrovirals, of the 27 that the Venezuelan National AIDS Program, but that cannot be delivered. “The few (medicines) that exist have not been able to be provided to people with HIV, since these drugs need to be taken with other antiretrovirals that are in short supply, which prevents compliance with the technical standard of the Ministry of Health and recommendations International Organizations of the World Health Organization (WHO), how is it that “ART schemes must be based on a combination of at least 3 ARVs”. The list of 100% unsuppressed drugs is long: abacavir, abacavir / lamivudine, efavirenz, efavirenz / tenofovir / emtricitabine, etravirine, tenofovir, tenofovir / emtricitabine, lamivudine, lamivudine / zidovudine, lopinavir / ritonavir, nevirapine, raltegravir, reyataz, rilpivirine / tenofovir / emtricitabine, ritonavir, and zidovudine are some of them. No solutions for the short-term. For several years, the Venezuelan Network of positive people has reported episodes of stockouts. Very large episodes that put the health and lives of thousands of people at risk, but episodes that were overcome with last-minute measures. But the current situation is more serious; Nieves tells us that, due to the accumulation of debt with the Strategic Fund for Medicines of the Pan American Health Organization (PAHO), which would reach 20 million dollars, they have not been able to continue supplying medicines to the country. A similar situation happens with other drug suppliers who are reluctant to sell to Venezuela due to the large debts that the country maintains. According to Nieves, the national investment to guarantee the supply of medicines and reagents for follow-up tests for 80 thousand people does not exceed 12 million dollars and, nevertheless, the country spent 25 million dollars in the purchase of weapons for the army in the year 2016. The social and economic deep crisis of Venezuela has caused millions of people to see their health at threat. It begins to report that the population on average has lost about 11 kg of their weight in the last two years. In the population of people with HIV this weight loss contributes to a worse their health, coupled with the lack of medication, can cause death. Most antiretrovirals have a 100% stook out. The director of ACCSI is energetic in pointing out that “people with HIV are totally abandoned by the government of President Nicolás Maduro, who is mainly responsible for his inaction and omission in the face of situations of threats and risks to their lives and health, with irreversible damages in the aspects of health, psychological and moral “. The crisis has reached such a point that no one is saved: “100% of people with HIV and AIDS, of all ideologies, with different economic and educational status, are being affected in the same way, they are violating their human rights” says Nieves.